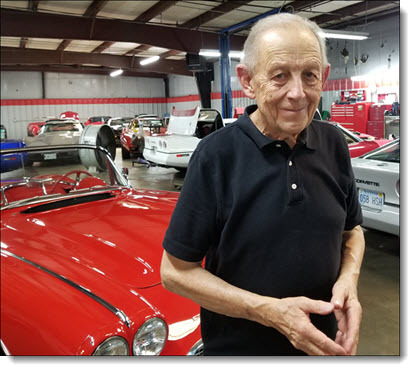 It all began in 1963 when Ray damaged his 1960 Corvette. He repaired his own car in his garage at home. His reputation for great craftsmanship spread from friends and neighbours. Soon, he needed a bigger work area. He opened a body shop exclusively for Corvettes, his passion. By 1966, he was repairing Corvettes as well as buying and selling nationwide. Years of success and growth continued. In 1989, again, Corvette Village needed more space. Ray and his wife Sandy moved the business to Johnson County, KS. 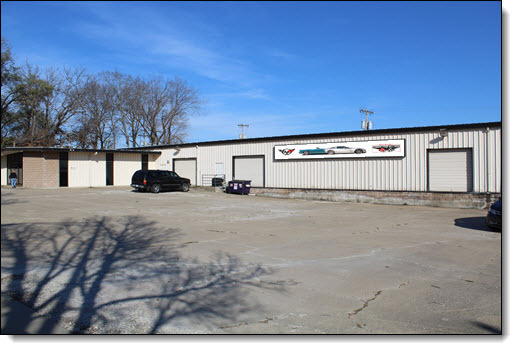 Corvette Village is now located in a 13,000 square foot facility at 5011 Antioch Road, Overland Park, KS 66203. © Corvette Village. All rights reserved.